Those are the opening lines of a post Brian wrote last year, one that has become a Copyblogger mantra — one of our core philosophies. 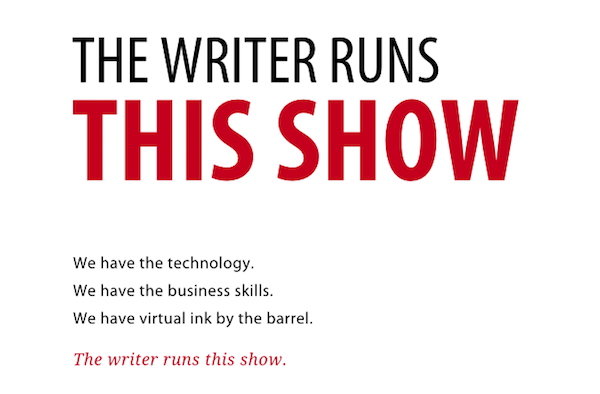 This is really cool, and a very fitting mantra for Copyblogger. Still, I wonder what Rafal thinks of this ;). So glad you highlighted this and made it available Sonia! Posting on my home office wall right now. From now on, this mantra right above my desk. This and Hugh MacLeod’s anecdote about what an anonymous creative director once told him (about toned-down and toned-up versions) have become a part of my mantra. It’s in my field of vision at all times when I’m writing. Thanks for running this – I wasn’t reading CB until recently and missed it first time around. Thanks for the manifesto – I will plug it into my pitch. I have printed it and it now hangs in my office! A great Mantra, and so true, most business owners forget that good content needs to Written, I does not appear out of nowhere…. Thanks for this great pdf! Powerful! When I read this, it reminds me of all the internet marketers and SEO guys who believe the only thing it takes to be successful is a handful of poorly crafted articles and an article spinner. I wonder if they will ever catch on? Love this except I don’t have the techie skills. Or rather I don’t want to. Fortunately I can sub that out to someone who does it faster and better leaving me to the fun stuff like writing. Yes, it’s good to be the ringleader and there’s never been a better time to be a writer than right now. Note it says technology, not tech skills. Totally get others for the tech (I do), as long as you can use WordPress to publish. These lines definitely spur you on. Motivation should always be a part of a bloggers diet. Excellent! I just printed this out, so it’s time to focus more on writing. Replacing my “hang in there baby!” kitty poster post-haste! That said, the only thing that might improve this poster would be the inclusion of a cat. Possible for next printing? From now on i’ll going to follow this Mantra………………. Thank you for sharing this. I am printing a copy and putting it in my home and office. This is going on my wall in the office! A great motivation when writing.. I run this show!